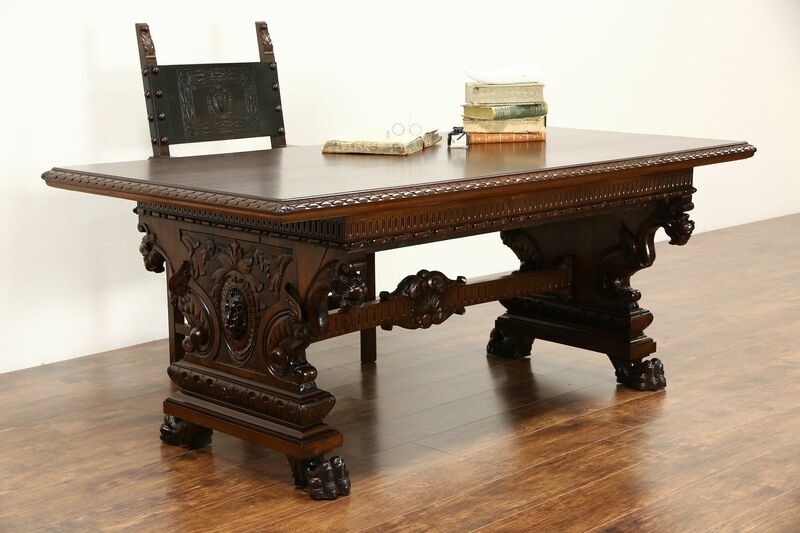 A magnificent hand carved Italian dining or library table or writing desk from about 1900 has three dimensional sculptures of lion heads and paws and griffins. Lavish carving captures the Renaissance manner. This walnut antique furniture has an excellent restored deep finish. Masterful details are imposing on this historic table from a palazzo in northern Italy. Measurements are 79" long, 40" wide, 32" tall and legroom is 26" underneath.